Hello, I am Adelin and I'm pleased to meet you! Based out of Timisoara, Romania. I love to travel and make new friends. Come and know more About Me. Hi there and welcome to my website! My name is Adelin and I’m glad that you stopped by. I know that you are curious to know me better, so let me tell you something about me, your [future] photographer. As you can already guess, I’m a very friendly guy, full of energy and always smiling, so much that if you are around me you run the risk of becoming infected with good mood. I never liked those who say that we, Romanians, are a “sad nation”, so I’m trying my best to change this mentality. Like everybody else, I have some passions that sometimes take all my energy and time, not that I mind. Photography is one of them, but about it I will talk to you a little bit later. I also love to listen to music, to travel, to play the piano, to watch tv series all night long and… to cook. No really, no joke there, you can ask my friends, who, by the way, say that I make an amazing pizza and thai chicken noodles that you wanna die for. But most of all, I love sports. Running, TRX, cycling… all of them are an essential part of my everyday lifestyle. A while ago I’ve discovered another thing that I like and don’t know how I’ve lived without it until now: snowboarding. Before last year, I was always expecting the winter to go in a holiday at the seaside (because in the summer I was busy with all the beautiful weddings I had to document), but now I cannot wait the cold season to get the snowboard equipment out to play. I’ve already checked on my “snowboard bucket list” the french Alps and I’m going next for the austrian and swiss side. And all of these is just a tiny little part of what I want to do, I hope to find the resources to do it all. Life is so beautiful and we should live it at the fullest. I for one cannot wait to try something new. Coming back to the photography. Maybe you are asking yourself what’s all about it and how an software engineer is also a wedding photographer? This story started way back in childhood when an uncle of mine, who was once upon a time a photographer himself, gave me a photo camera. It instantly became my favourite toy. I was so absorbed by it, so much that I took it apart in order to see how all the components were working. It was all I was dreaming about. Time went by, and photography took a turn for the digital, but didn’t forget that feeling that I was having when I made photos. So, in my student years, I decided to buy a digital SLR camera and continue this love affair. I started photographing weddings in 2010 and since then I didn’t stop. If I think about it, I realise that what I really love is to capture emotions for posterity. I like to think that when I press that little button on the corner of my Nikon the time stops and all the beauty in the world becomes forever, showing the most memorable moments in someone’s life. That’s what you will find with me: beauty, simplicity, originality, an accurate reflection of your memories to have and to hold forever, even if we are talking about a wedding or any other kind of shooting. 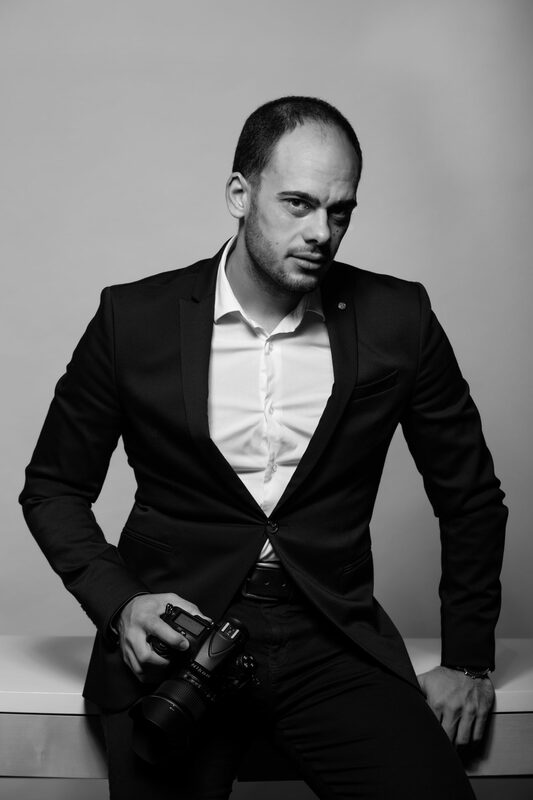 Adelin is based in Timisoara, Romania, but covers destination weddings around the world.